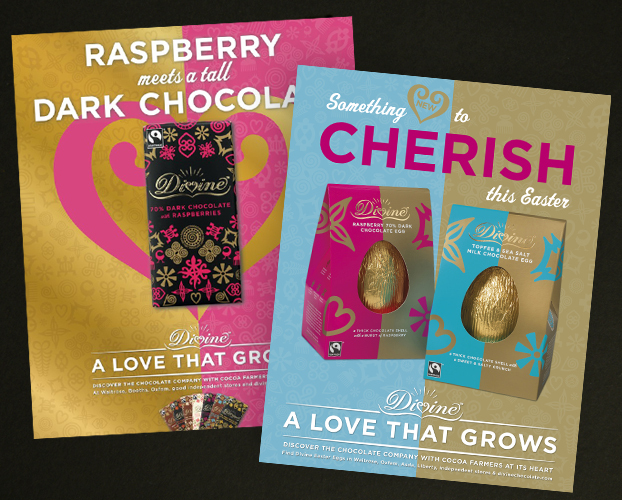 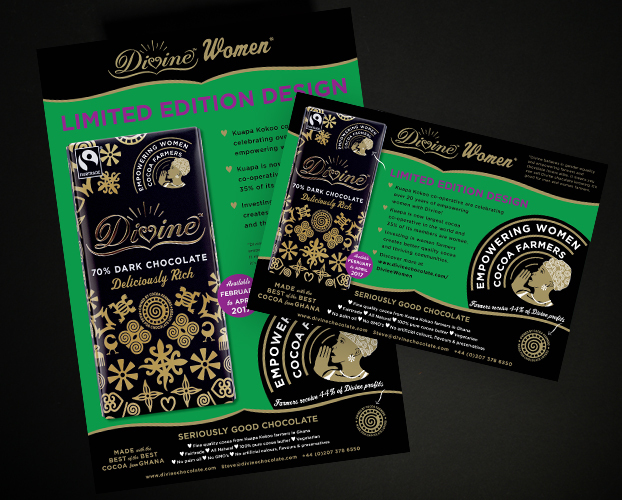 Special edition Divine Chocolate bar adverts. 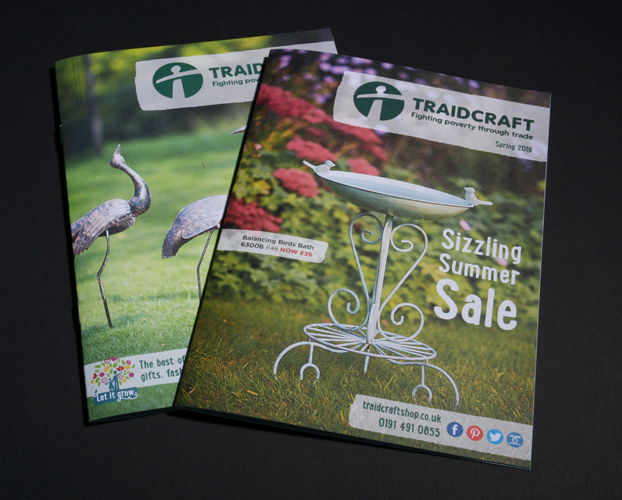 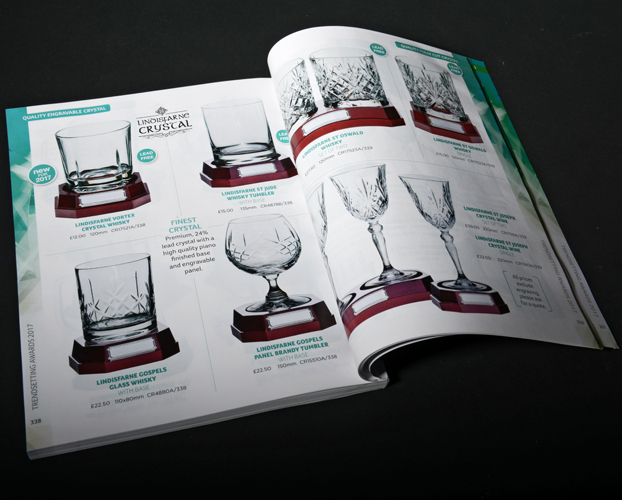 Homeware and gifts sale catalogues for Traidcraft. 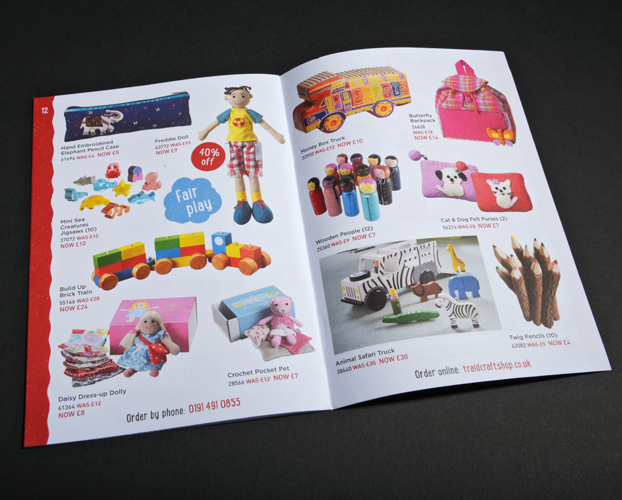 Homeware and gifts sale catalogue for Traidcraft. 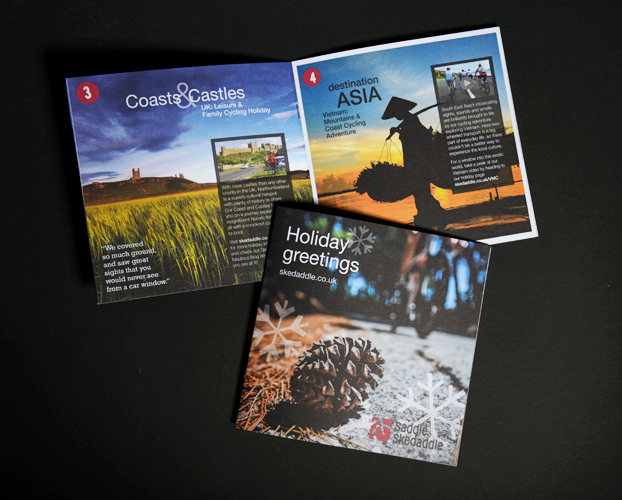 Cycling holiday direct mail brochure for Saddle Skedaddle. 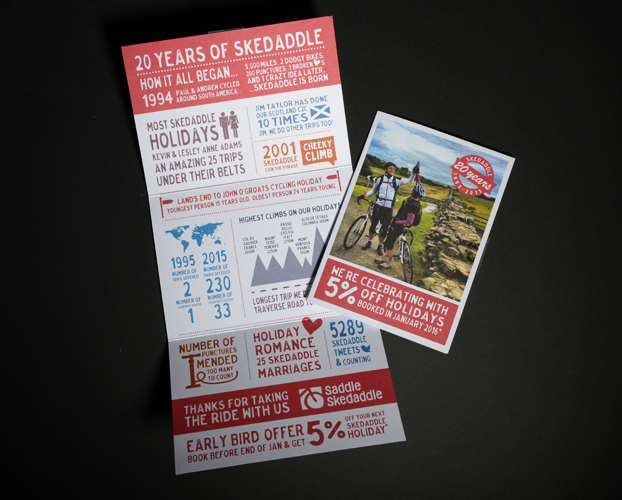 Infographic celebrating 20 years of trading for Saddle Skedaddle. 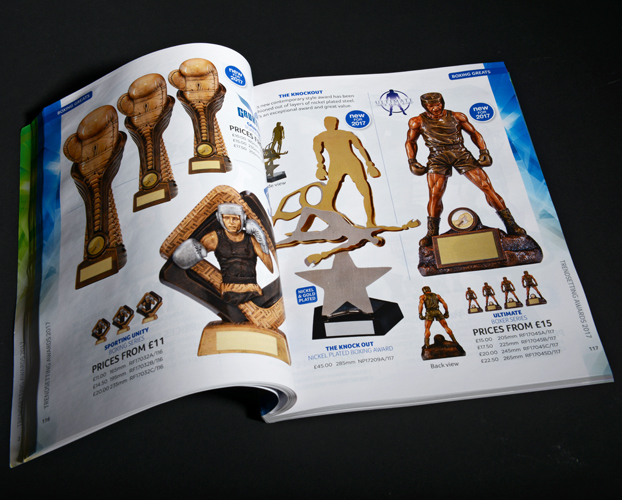 A favourite spread from Skedaddlin magazine. 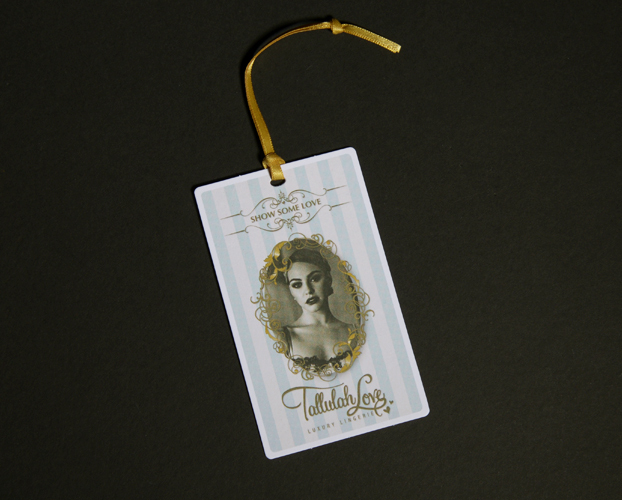 Garment swing ticket for Tallulah Love luxury lingerie. 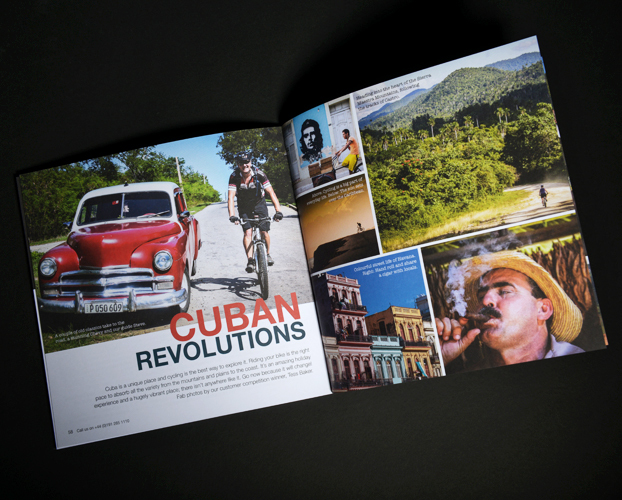 A spread from the lookbook.